Customer experience has become a driving force in establishing retail differentiation. Top companies have figured out methods to blend digital marketing tools that their customers love with quality in-store retail experiences. The following is an overview of some of the most effective strategies for integrating digital marketing tools into your in-store retail experience. Leveraging Beacon technology, retailers are now able to allow their customers to read reviews, product descriptions and availability details in store. Customers don’t have to spend time online evaluating their purchases before shopping. Instead, they can come into the store, and scan a product to quickly access these key factors to help with their buying decision. Buyers have an increasingly strong interest in reviews from peers when making purchase designs. Thus, quick access to ratings and reviews can help seal the deal for hesitant buyers as they scan your shelves. Another way retailers use Beacon technology is to send push notifications to in-store shoppers that promote specials and deals. When a customer comes into your store, the technology allows you to deliver a timely message to highlight deals. Imagine, for instance, a customer receiving a notification about specials on televisions when they come in ahead of the Super Bowl or a major holiday. Fashion brands are among pioneering retailers that give customers access to virtual design screens in their stores. 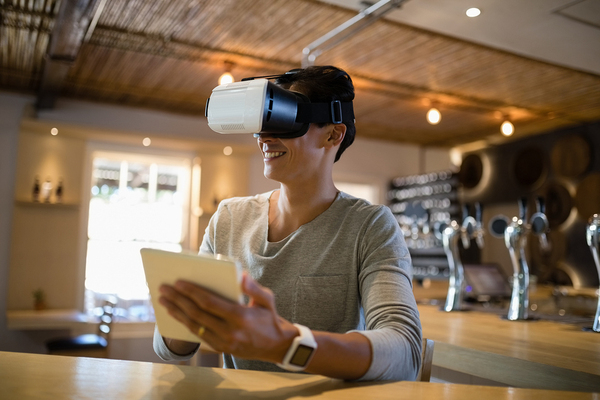 A customer can come in, put together apparel and accessories on a precise virtual model, and then receive information on finding the products in store once a satisfying outfit has been assembled. To escalate the customer experience even more, offer delivery service where the customer orders the pieces desired and an employee gathers them up and brings them to the counter. New York City’s Rebecca Minkoff store allows customers to add items to a dressing room, and the store notifies them when the room is ready. Your business could also create a mobile app that simplifies the customer’s process of converting design research and preparation into purchases. Lowe’s, for instance, has a “Vision” app that allows customers to take pictures in their homes and then fit furniture, decor or other items into the design. Then, the customer takes the image to the store and uses the app to identify the location of all products needed for the project. Customers like to envision what a product will look like in the context of their home or other settings. Some retailers now offer virtual reality technology that gives customers this opportunity. Ikea, for instance, leverages VR to allow its customers to get a glimpse into the impact of purchases to home living through digital showrooms. 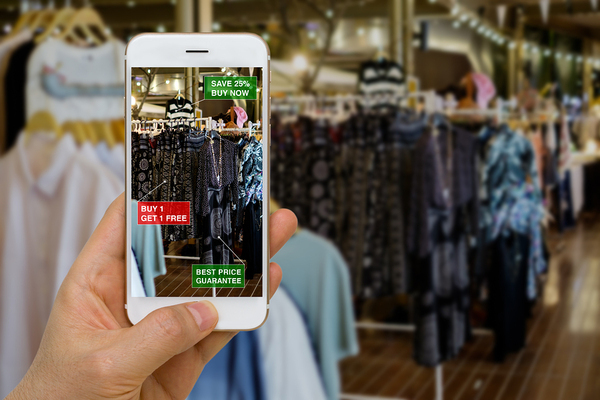 Retailers can’t afford to take a back seat to competitors when it comes to combining digital and physical elements into the highest-quality in-store experience possible. Customers want seamless efficiency when moving from research and design to purchasing. Response Mine Interactive offers expertise in helping retailers leverage digital communication strategies. To learn more how we can help you achieve your business goals, contact us today!